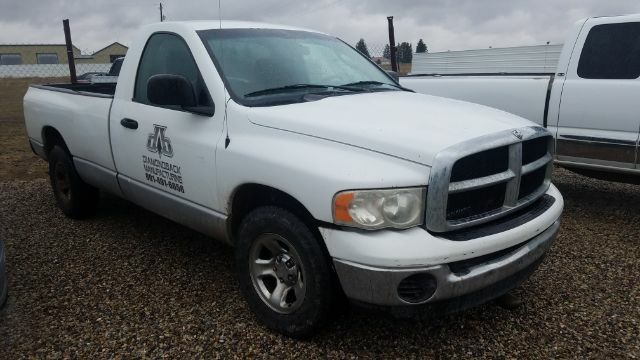 Fill out Intermountain Auto Recycling Secure Online Application and get pre-approved for this 2005 Dodge Ram 1500 today! Cargo Volume No data cu.ft. Front Hip Room 65.10 in. Front Shoulder Room 67.00 in. Rear Headroom No data in. Rear Hip Room No data in. Rear Legroom No data in. Rear Shoulder Room No data in. Width at Wall 66.40 in. Width at Wheelwell 51.00 in. All vehicle information displayed on this web site is supplied by the listing dealer or other third parties. This site is not responsible in any way for the accuracy or completeness of such information. This site provides this classified listings service and materials without representations or warranties of any kind, either express or implied. All prices and specifications are subject to change without notice. Please contact dealer for additional fees, etc.e="color: #999999">All vehicle information displayed on this web site is supplied by the listing dealer or other third parties. This site is not responsible in any way for the accuracy or completeness of such information. This site provides this classified listings service and materials without representations or warranties of any kind, either express or implied. All prices and specifications are subject to change without notice. Please contact dealer for additional fees, etc.